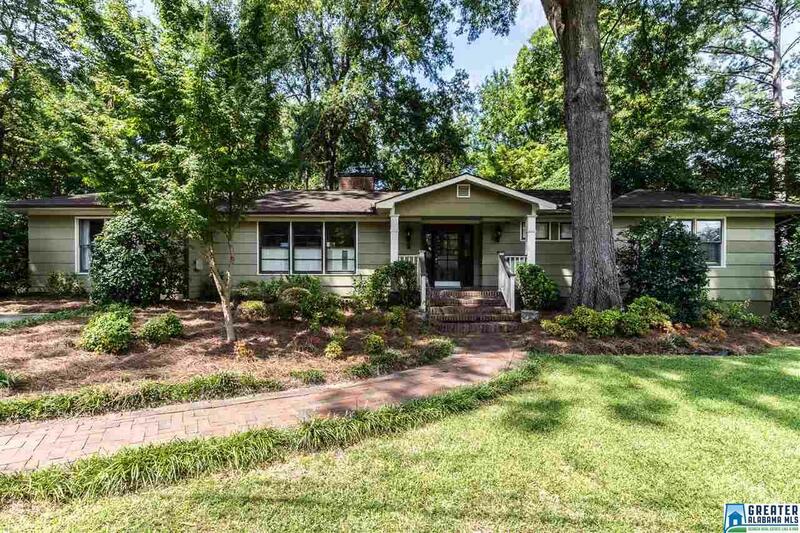 808 Beech Ct, Mountain Brook, AL.| MLS# 825510 | Richard Jacks UABLIVING.com 205-910-2297 | Birmingham AL Real Estate | Contact us to request more information about our Homes for Sale in the Birmingham AL area. Crestline home offers remarkable living space, 1-level living, 4 to 5 BR, 4 BA & a great location on a family friendly cul-de-sac. Features open floor plan with great room flow, large rooms for family life & entertaining. All rooms have crown molding. Beautiful hardwood floors are found throughout. Kitchen & baths have tile floors. Spacious living room & a fireplace with gas logs & is open to the formal dining room. Kitchen has stainless steel appliances, extensive cabinet space & pantry space. Open to a huge den with a casual dining area with a built-in banquette, floor-length windows, glass door to the patio, backyard & ventless gas-log fireplace. Master suite boasts 2 walk-in organizer closets & master bath with dual vanities, garden tub, separate tile shower & a private WC. Exterior features include a level driveway complete with a basketball goal, brick pathway to the front door, front porch with a slate tile floor, a patio off the den, a fenced backyard & storage building. Driving Directions: Euclid To Beech Street, Left On Beech Court . House Is On The Right.